The Epson SureColor SC-P9000 Violet is a colour large format printer that produces top-quality prints up to A0 size. Due to the bulk of the printer, it will best suit a medium to large-sized business. 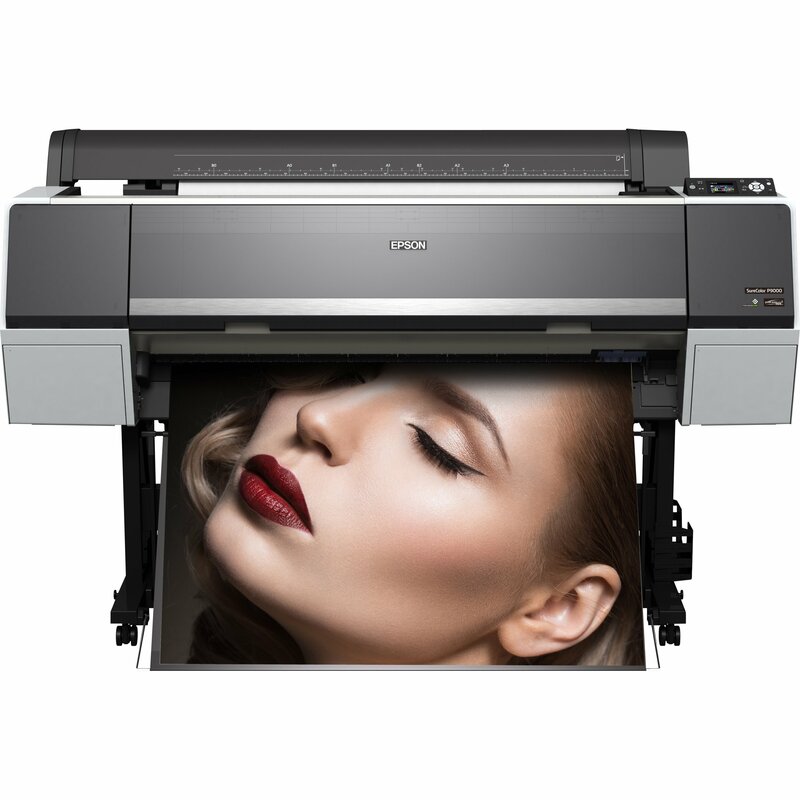 Setup is straightforward, and the results of the Epson SureColor P9000 Violet will be impressive, with vivid colours and deep blacks giving consistently long-lasting, professional images. The Epson SC-P9000 Violet has a large hard drive, so printing jobs can be stored, freeing up computer space. The main drawback of the printer is that the connection is network or USB only, with no facility for wireless or mobile printing. At 801mm x 945mm x 2,024mm, the Epson SureColor SC-P9000 Violet is a large machine and comes in a grey colour. The Epson SureColor SC-P9000 Violet can be navigated using the control panel, which includes a 6.3cm LCD screen. Printer resolution is 2880 x 1440 dpi. The printing head has 360 colour nozzles and 360 black to deliver ten inks, photo black, light black, matte black, cyan, light cyan, vivid magenta, vivid light magenta, yellow, orange and green. Connectivity is achieved via a network or USB. Delivering 98% of the Pantone® certified colour spectrum, the Epson SureColor SC-P9000 Violet will produce superb-quality prints. The large hard drive can store printing jobs, freeing up computer space. Thanks to the innovative Epson Colour Calibration utility, colours are accurate and vivid, and an advanced black and white mode produces deep-toned, rich blacks. There is a choice of cartridge size, giving longer periods between replacements. Accurate and long-lasting prints continue to look good for a minimum of 60 years. The Epson SureColor SC-P9000 Violet is a large and heavy printer, which may be too large for small premises. The printer needs at least two people to set it up. There is no wireless connection, so printing directly from smart devices is not possible.